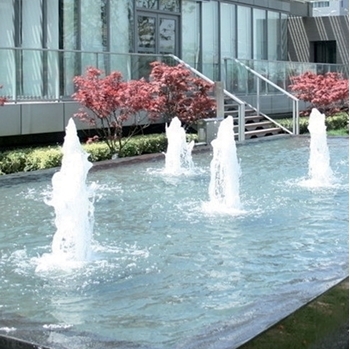 Foam Jet Fountain Nozzles mix air into the water stream producing a highly visible and wind resistant spray. Great as a stand alone feature, but can be grouped with other nozzle for more dramatic effects. To achieve optimum appearance and performance position this nozzle at the recommended water level.